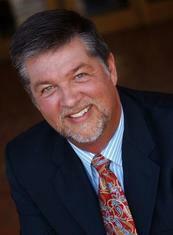 Mark James Ashley, Sc.D, received his Doctorate of Science from Southern Illinois University at Carbondale in 2002. He is currently the President/ CEO for the Centre for Neuro Skills in Bakersfield, California, Irving, Texas and Encino, California. He was the Executive Director of the Centre for Neuro Skills from 1980 to 1997 and Clinical Supervisor at Speech Pathology, Inc. from 1979 to 1980. Ashley is a Certified Brain Injury Specialist (CBIS) from American Academy for the Certification of Brain Injury Specialists (AACBIS), Certified Case Manager (CCM), Sponsored by the Certification of Insurance Rehabilitation Specialists Commission, has a License for Speech Pathology, from the State of Texas, State Committee of Examiners for Speech-Language Pathology and Audiology as well as the State of California Board of Medical Quality Assurance. He also has a Certification of Clinical Competence in Speech Pathology from the American Speech and Hearing Association.